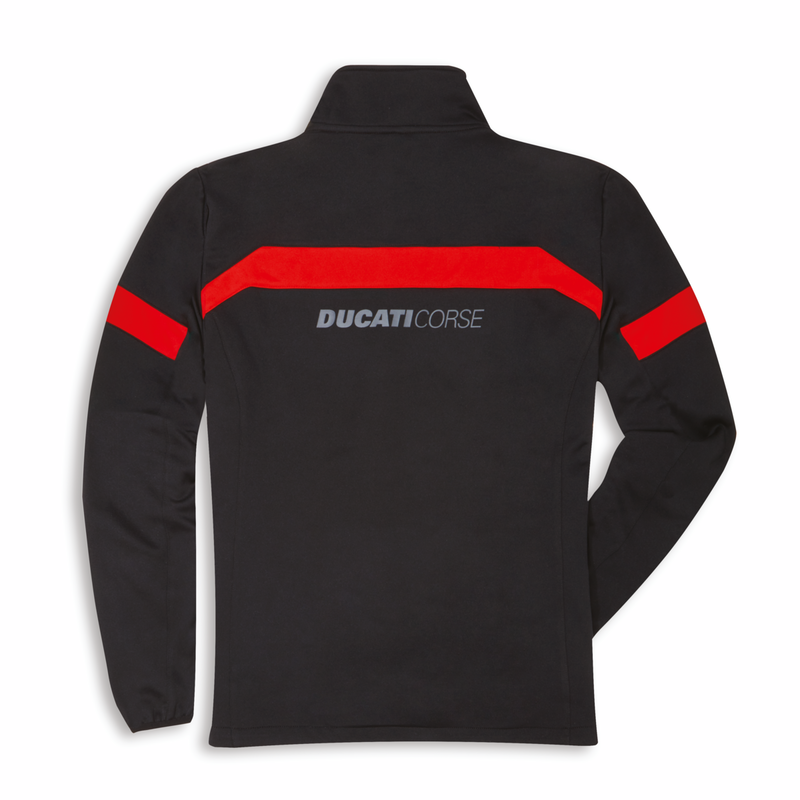 The new Ducati Corse fleece jacket with a racing spirit. The front zipper, three external pockets, and the waist adjustment make it practical and functional. 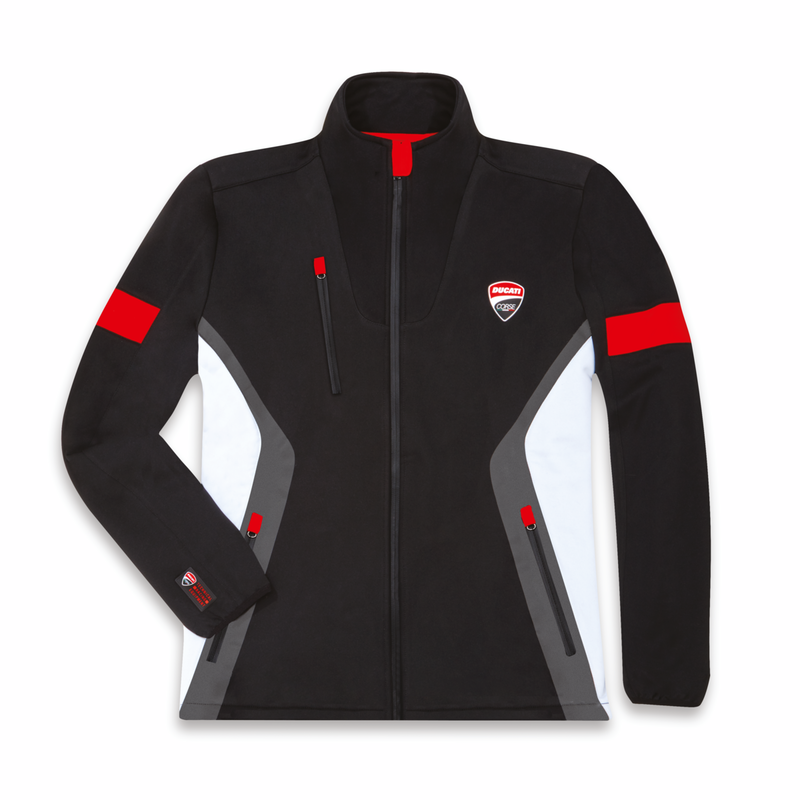 It will keep you warm, and not just at the track!